Outside a cleanroom designed for NASA. 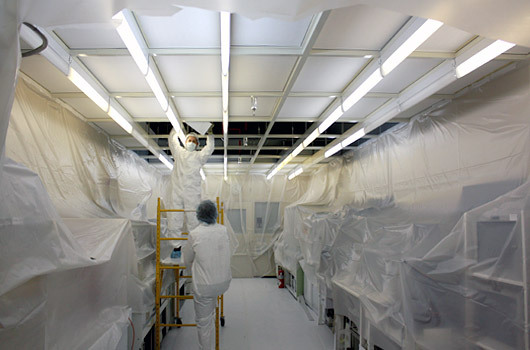 Two of our experienced clean room construction experts on the job. Lasco Services began its company life building some of the largest and most advanced semiconductor fabs in the world, including Texas Instrument’s DMOSV and Maxim’s (Dallas) Fab 11. 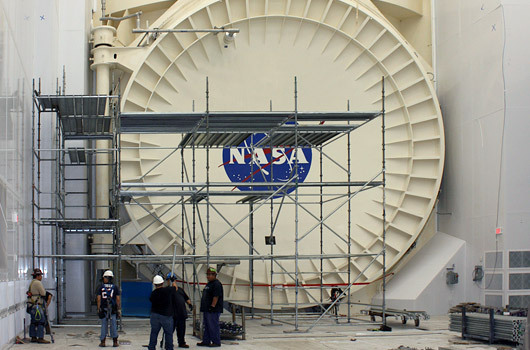 We soon moved to designing and constructing cleanrooms for NASA, pharmaceutical companies, and an expanding range of companies and education institutions. You may visit our Client and Project list to see the extent of cleanroom construction experience. Lasco Services' skilled cleanroom installers/technicians form the core of our successful customer relationships. 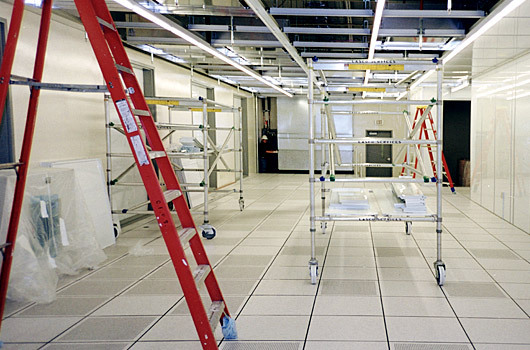 Every installer is trained in the latest cleanroom protocol and procedures. Lasco consistently maintains low EMR and TRIR rates. Every employee has completed as a minimum the OSHA 10 Construction Course, and each supervisor has completed the OSHA 30. Call us at 1-800-815-2726 to get started on your cleanroom project.